KUALA LUMPUR (April 16): Prasarana Malaysia Bhd is bringing in UK convenience store WH Smith into its stations' retail space, says its group chief operating officer of strategy and transformation Ang Yoke Kee. "The team has worked very hard to bring in some of the marque names, so you will probably see them pretty soon. We are very eager to announce, but we just can't do it right now. The one that we have already signed is [with] WH Smith, the convenience store from the UK, which specialises in the travel segment. We are the first one outside the airport that they have partnered with in Malaysia. "We have just recently signed [with WH Smith Malaysia Sdn Bhd], we haven't announced yet, they will be in selected stations," he told reporters at the sideline of the launching ceremony for a partnership between Prasarana and Ninja Van, a parcel collection lockers service provider. WH Smith Malaysia is a 50:50 joint venture between MyNews Holdings Bhd and UK-based WHSmith Plc. 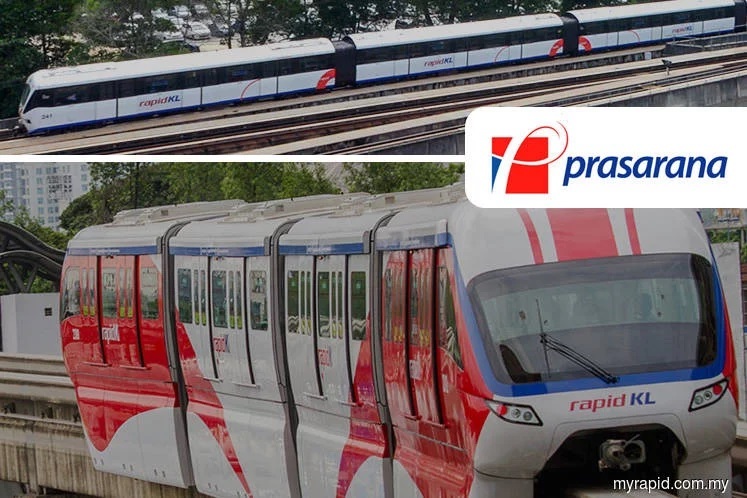 Ang said Prasarana was keen to partner with any parties on optimising the advertising and retail space available on the group's stations and its train sets. "In short, we are very open to partnership, on the commerce, advertising and retail space, so we welcome anyone to approach us. We are happy to discuss opportunities, you can have a space on in our stations, you can put advertisement on our stations, on our buses, wrap the train or the buses, you can also name the station over your company," he said. With an infrastructure of 115 stations and over 151km of rail lines, Ang said Prasarana is in a strong position to work with a partner in enhancing mobility and connectivity. "This is a refreshing new look that we would like to put in the face of Prasarana. We already have AirAsia, Bank Rakyat, KL Gateway. We have done that before, and we will continue to do that for the rest of our stations," he said. Earlier today, Ang said the partnership with Ninja Van involved placing 86 parcel lockers at RapidKL Light Rail Transit (LRT) stations from Gombak to Puchong, building the largest parcel locker network in the Klang Valley. The lockers are aimed at providing a convenient and safe alternative for commuters to pick up and drop off their parcels. "Through this partnership, we hope that commuters throughout the Klang Valley will see LRT stations as more than just somewhere you pass through," he said. Ang was representing Prasarana's president and group chief executive officer Datuk Mohamed Hazlan Mohamed Hussain today, as the latter had to attend meetings with the Prime Minister's Office. Ninja Van Malaysia country head Adzim Halim, who was also present at the press conference today, said the company has installed 69 parcel lockers over Prasarana's LRT stations, and will complete the installation of 86 parcel lockers by the third quarter this year.